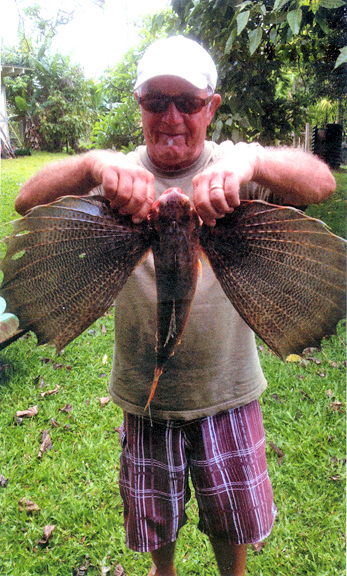 While fishing outside of Lahaina, Maui, Uncle Harry Coelho dropped an aku belly bait to the bottom 150 feet below. After a short wait, Harry was hooked up and fighting a 2.09-lb helmet gurnard on his Penn spinning outfit loaded with 20-lb test. Harry weighed his new state record fish at Mama's Fish House.